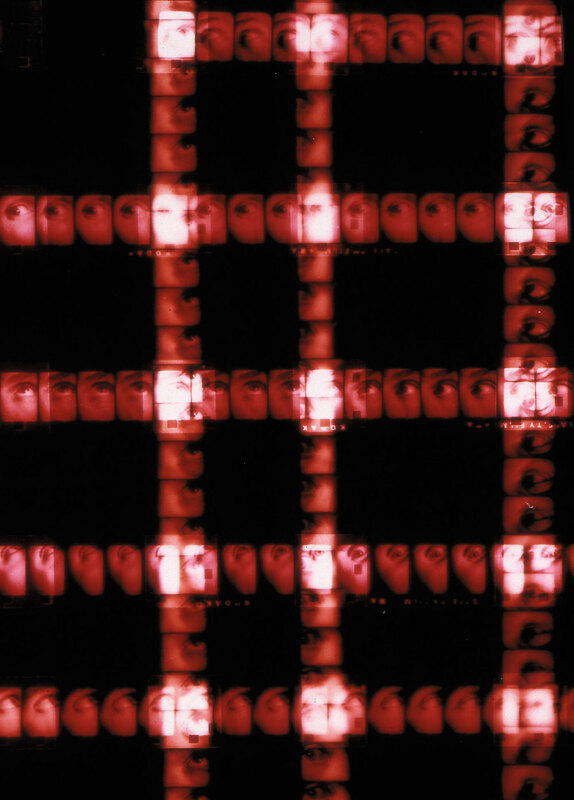 Prints in the Plaids series combine super-eight movie film with a labor-intensive, hand-made process. 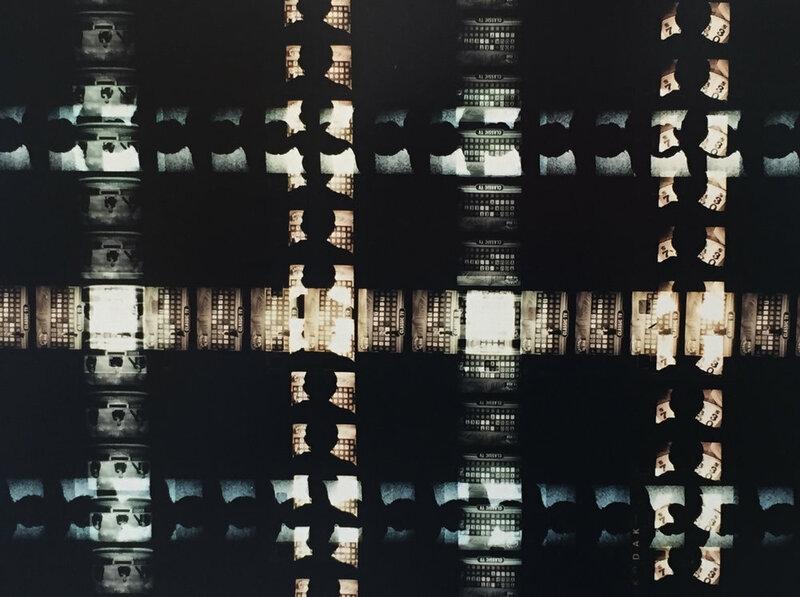 Each print in the series was made from dozens of individually filmed, developed and toned strips of super-eight movie film woven together, each containing a mini-narrative embedded within the film frames. These sequences feature short performances by the artist as well as repeated frames from found footage. These images are ‘photographs’ of film which at first glance are abstract, referencing pixels, paintings, and textiles.